Student of the Week: Gaby Reblando! This week we would like to recognize Gaby Reblando as our student of the week! 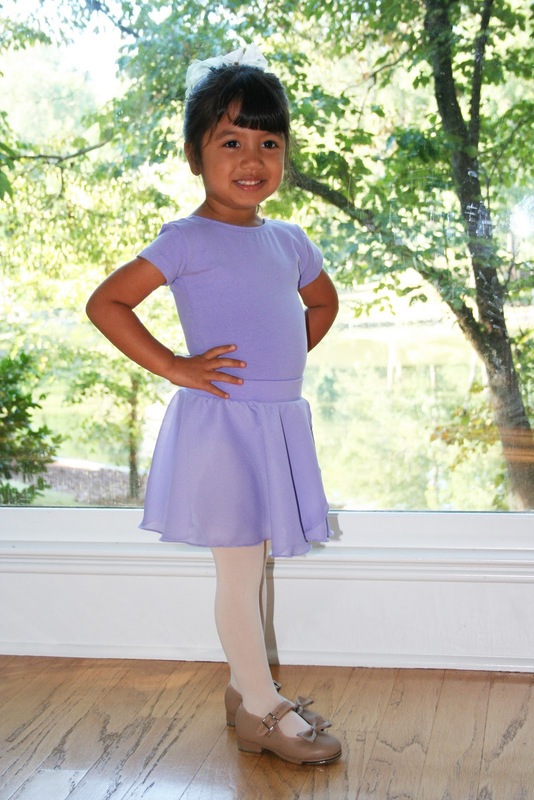 We met Gaby last year in our Ballet for 3’s class, Gaby is now in our Ballet/Tap class for 3 & 4 year olds. Gaby works hard in class, is a great listener, follows directions and always dances with a big smile. She might be little, but her love for dance is huge! Congratulations Gaby! 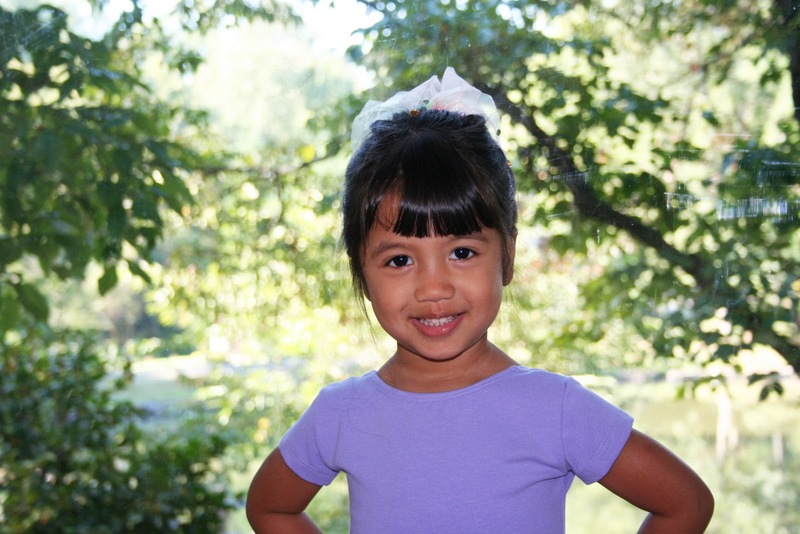 Gaby started dancing in the Summer of 2010 when she attended a Disney Princesses Summer Camp at ADC. Right after she was enrolled in the “Ballet for 3’s” class with Ms. Mary, her first dance teacher. Gaby has many favorite colors. She likes pink, yellow, fuchsia and purple. Gaby enjoys dancing to different types of music. She loves twirling around like the beautiful ballerina she is and is really excited about her new tap moves. Dancing is fun and makes Gaby happy. She really enjoys dancing with her friends in class, as well as with Mommy, Daddy and her little brother Jack. 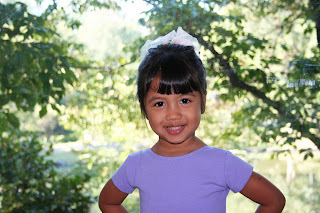 Gaby looks so sweet in her purple dance outfit! Congratulations! This is great news! It’s awesome that you love dancing so much and that it shows! I’m sorry we haven’t had a chance to see you dance yet, but hopefully Anya and I will get a chance to do so when we come visit your new house! Next stop: the Boshoi Ballet! Congratulations, Gaby! Congratulations, our dear Gaby! Your Papi and Mami are very proud of you and so are we! We can see your love for dancing in your smile! And what an infectious smile it is! 🙂 We hope you keep dancing (and smiling)! Big hugs to you, Papi and Mami and of course, baby Jack! Little Princess Gaby! You’re so adorable! I’m very impressed that you’re the Student of the Week! Congratulations! Gaby !!!! Te ves preciosa, sigue siendo tan buena estudiante para que llegues a ser una excelente bailarina.